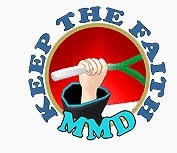 How do I make a storyboard for my MMD animation? 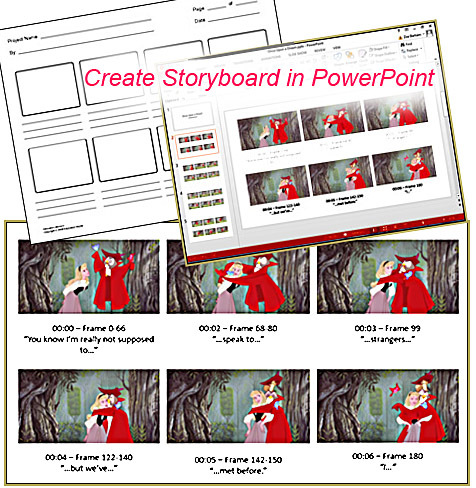 Why would I create a storyboard? Can I make storyboards for my MikuMikuDance video? Before you start any project, you need some sort of plan. Traditionally, animators and filmmakers will rely on a storyboard, or a visual guide of scenes in order to get an idea of what their film will look like. Never rely on your own memory, because you will most definitely forget something and your storyboard is actually tangible. On top of that, any animation or film professors you have will definitely want to see it, if not require it. For my “Once Upon a Dream” project, I did my storyboards in PowerPoint, since my graphics program has been very uncooperative lately. We used paper storyboards in my high school and college-level digital art classes, which can be downloaded as a WORD .doc HERE. This is a very crude method of capturing the key frames that I needed to replicate for my project. I paused the YouTube video at least every second (and sometimes less, if a key bit happened), took a screenshot, and added the picture to the PowerPoint with the time stamp and words said, as well as any notes I wanted to add. Of course this can be done with any video you choose, or you can draw it out yourself. I judged the MMD frames by playing the .wav file and messing with the MMD playback menu until I found where each chunk roughly started. While animating, I was able to pay careful attention to Aurora’s center of gravity and how high the top of her head was in each shot. This helped me to simulate more natural movements, as opposed to keeping her at a more steady and robotic height. Having the key frames directly in front of you as you work also takes a lot of the guesswork out of the process. Storyboarding is a very important step when making any project, and gives you a master plan to fall back on; it’s also encouraging to have a rough idea of where your project will ideally end up. This isn’t to say that you have to rely on it entirely, but it’s best to go in with a plan instead of nothing at all- especially when dealing with an audio track or when working with multiple people. Hi… What are you referring to?… What is just an X? I have updated the link in the article so as to download the WORD .doc of the Storyboard form.